It really feels odd for some new guest in your house, to find that all your books are scattered across your bed, or kept on the rack of your centre-table. Planning for a classy and affordable bookshelf design is very important, especially if you are a voracious reader and you treasure a large collection of books. Book shelves are the ideal storage options to keep your books free from dust, moisture and termites. You can get creative with every collection that you want to customize, and you can choose from a host of materials, styles and designs. 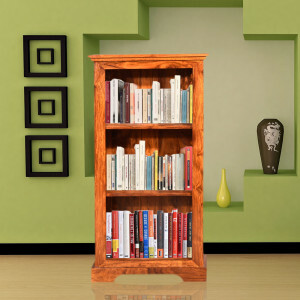 Among all categories of bookshelf designs, you can choose some modern bookshelf which is sturdy, stylish and functional. Wooden shelves with brass or nickel door knobs, small racks and printed wooden patterns are the ideal designs that you can choose for your contemporary home decor. The modern book rack designs do not allow you to keep your books in a cluttered and messy way, and you can arrange books according to their size, on the internal wooden racks. For more exclusive designer templates, you can also customize your designs when you buy book racks online. When you select a wooden bookrack many people will advise you that it is heavy and it needs to be installed in one corner of your room. 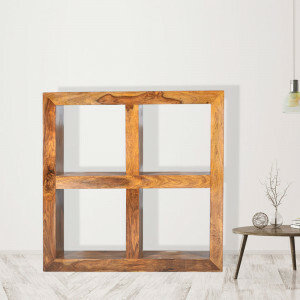 But now, you will find astonishing crisscross patterns, 8-shaped modern book rack designs made of wood, that are lightweight yet durable. Book shelfs kept in a tidy pattern impart an exclusive look to your home. You can also arrange for separate customized thin racks, to keep small knickknacks or figurines to decorate your bookshelf. Some wooden bookshelves also have the slots for magazine holders. You can now buy a wooden almirah for books from online portals. You can browse through the catalogue and buy wooden furniture that would be perfect for your drawing room, study room, or for your kid’s bedroom. Honey, mahogany and walnut finishes are quite common in wooden varieties; the brown texture can differ from light brown to dark coffee brown as well. With a wall bookshelf design also, you can start experimenting for giving a refreshed look to your interior this summer.